Contracts give a limited time access to a solution/application with the specified terms. Contracts may involve costs. Possible costs are mentioned in the agreement before signing. 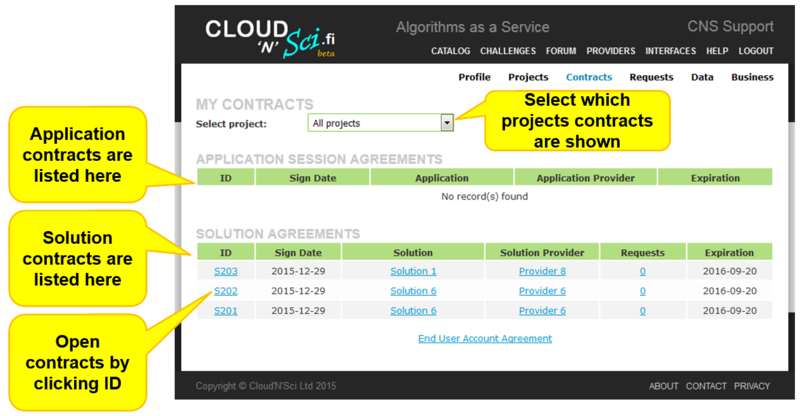 Contracts page contains all of your signed solution and application contracts. You can also view them per project. ID - ID of the contract. Click to view the contract.